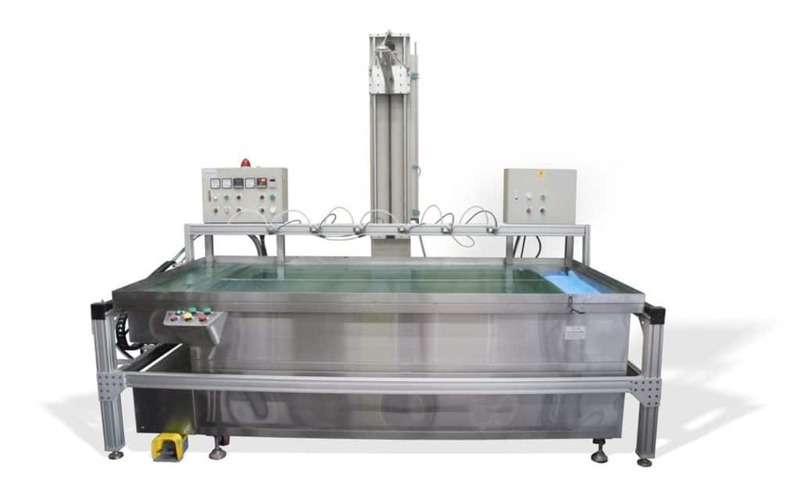 Our line of Water Transfer Printing equipment includes Hydrographic Tanks, Automated Activation Systems, production level Continuous Flow Machines, Wash Stations, and Curing Systems. All of our hydrographics equipment is backed by a 1-Year Warranty and includes 2 days of Water Transfer Printing Training at our facility. Our line of Water Transfer Printing tanks can be customized to fit your unique production requirements. Our Entry-Level fiberglass tank features a lightweight, compact design and is built entirely at our facility in Princeton, Fl. We also offer various sizes stainless steel hydrographic tanks. These tanks feature a Perfect Flow™ circulation pump, Assure Temp™ temperature control, and industrial grade surface heaters. These ensure your tank retains a constant temperature and is optimized for the Water Transfer Printing process. 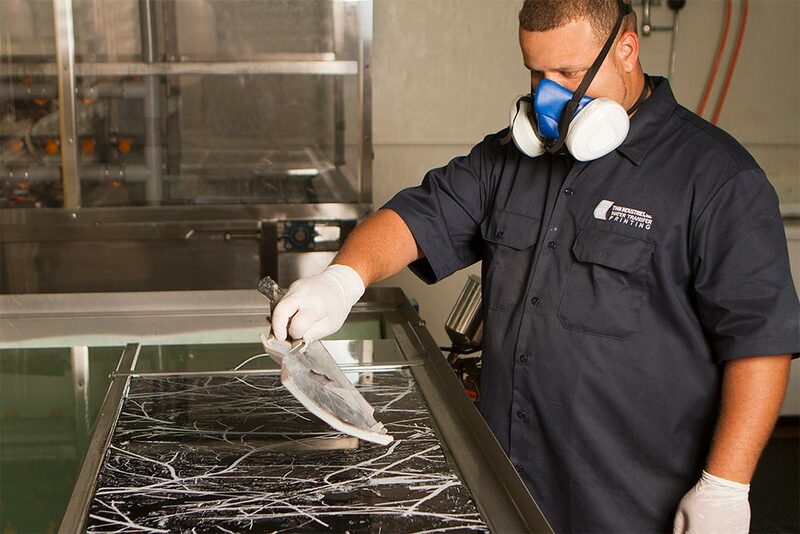 Our Stainless Steel hydrographic tanks integrate seamlessly with our Automated Spray System and Production Arm. These components streamline production and reduce costs. All sizes of our Stainless-Steel Tanks are large enough to process large items like golf cart and ATV bodies. Our Automated Spray Systems are designed to provide consistent activation, improve quality, and reduce emissions. Because we build every activation system in-house, we can customize the system to meet your requirements – even if you have a tank that was purchased from another provider. Our Automated Spray System features hydraulic spray nozzles that retain constant pressure and ensure proper atomization, without dripping excess activator. The user-friendly touchscreen HMI allows you to program up to 500 unique film profiles directly into your Automated Spray System. TWN’s Automated Spray System seamlessly integrates with our Stainless-Steel Water Transfer Printing Tanks and Processing Arm. TWN’s Processing Arm provides a consistent and controlled dipping motion for large profile items and custom jigs. Durable construction and a multi-axis panel enable you to customize your film entry point and retain a consistent dipping angle over the course of an entire project. This can increase the consistency of image transfer from part to part. Processing Arms are extremely beneficial in operations where consistency and quality are imperative. Our Processing Arm offers a seamless integration with our Automated Spray System and deploys once the film is activated and the set dwell time has expired. 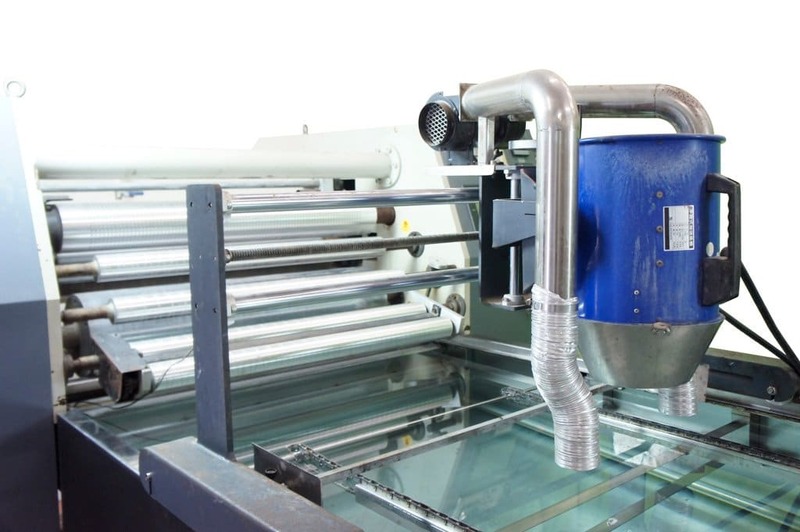 Our fully-automated Continuous Flow Water Transfer Printing equipment is designed for high volume manufacturing and assembly line production. TWN’s Continuous Flow Equipment is used by various manufacturers that process parts in-house. The system features all electronic controls and a user-friendly interface. 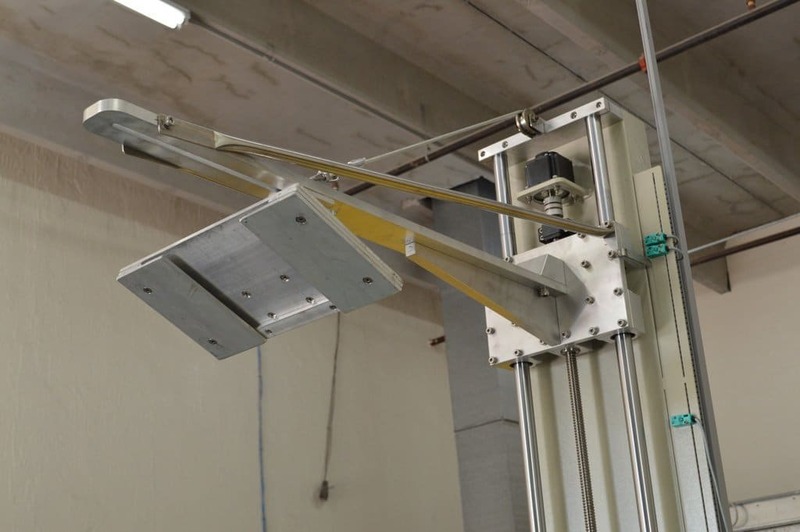 An adjustable roller coating system pre-activates film and feeds it across the water while a chain drive controls expansion and reduces distortion. Our Continuous Flow equipment is supported by our expansive knowledge base and our Water Transfer Printing consulting services. Our line of Water Transfer Printing Wash Stations features an Open Conveyor System that is the most efficient on the market. 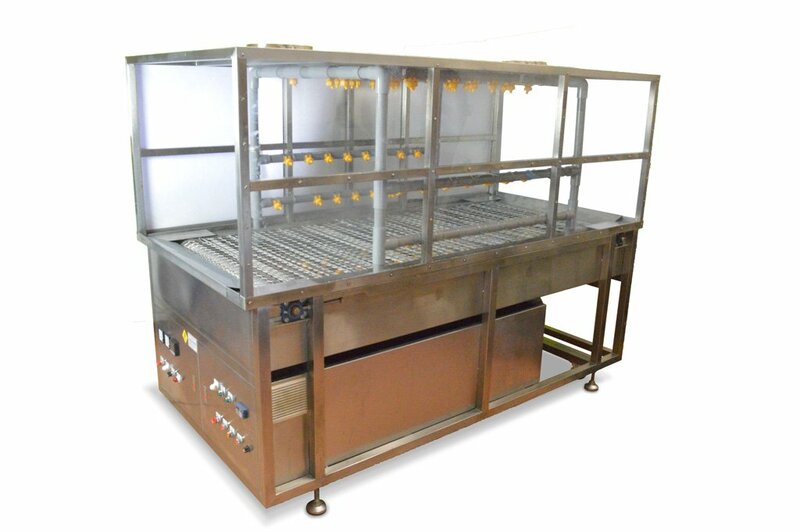 Freshly-dipped products are inserted in one side and slowly carried by a durable stainless-steel wire mesh through a 360-degree wash cycle. Reduce labor costs and time spent rinsing products manually with one of TWN’s Water Transfer Printing Wash Stations. TWN’s Curing Systems feature a portable infrared lamp that is used to speed up the curing time of base coats and top coats. 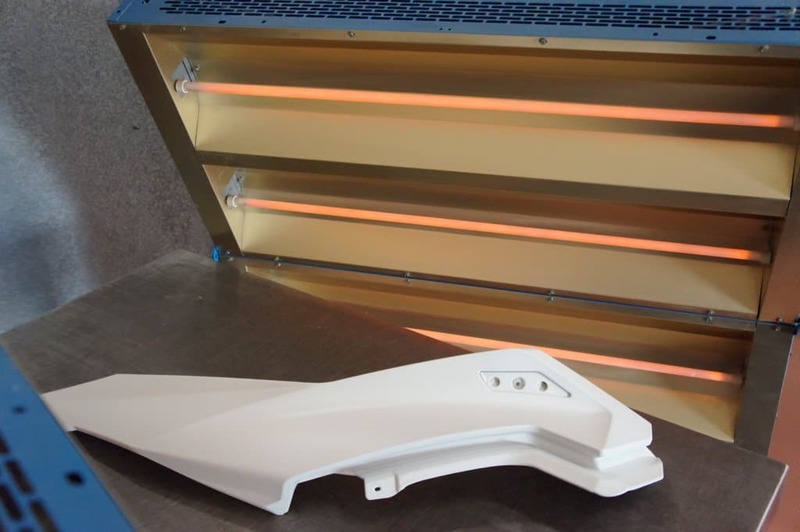 Reduce turnaround time and take on more projects with our Infrared Curing System. Purchase of any of our Water Transfer Printing equipment includes 2 days of hands-on training at our facility in Princeton, FL. Our Water Transfer Printing Training has helped many private processors and manufacturers understand the process and improve quality. The course covers the entire process from start to finish and includes complex troubleshooting procedures. Join our network of over 1,400 TWN Certified Processors.